Write a story in 200 words or less. Begin the story with the words, “The door swung open.” If you want to give yourself an added challenge (optional), use the same beginning words and end with the words: "the door swung shut." For those who want an even greater challenge, make your story 200 words EXACTLY! Now, even though I am sometimes a procrastinator (the deadline is today!) ... I am always up to a challenge! HA. The door swung open and clunked against the wall. Shem poked his head inside. Did the noise alert his father? Only two cows seemed to notice. They chewed their cud, keeping their eyes on Shem. He darted back out and ran to the tree where he’d tied the unicorns. Warm air puffed from the colt’s nostrils as he pulled against the reins, but the filly smiled, revealing her bulky teeth. Shem tugged them toward the door, and their hooves clacked against the wooden ramp. Shem backed into the unicorns. The colt neighed and stepped toward Shem’s father. Shem hung his head. His father took the reins and pulled the unicorns away from the ark. Shem followed as his father slipped the ropes from the animals and slapped them on the behinds. Shem walked back to the ark with his father; then hefted the door away from the wall, and the door swung shut. Really liked this, Margo! Excellent story, and I love the imagination it required. Nice job. Oh Margo that was wonderful. I loved it. I liked this a lot, especially that you were able to end it (mine's a bit of a cliffhanger, but I guess that's what you get in 200 words.) Go team! I have to say, I feel sad for the unicorns! Pretty cool, using a biblical tale and some magical creatures thrown in. Hi Margo! What a fantastic twist! - it made me laugh and gasp when I realized this was Noah of The Ark fame and his son! No wonder we don't have unicorns! - too bad Shem couldn't have convinced his father, such a shame. Ah well, maybe it's better this way, unicorns are so fascinating as the stuff of legends. (I ALWAYS knew unicorns were real.) I love this! I'm a fellow campaigner - I'm not in your groups, but I wanted the fun of getting to know more writers. It's so great to meet you! 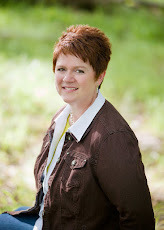 I really laughed when I read your list of rules on your sidebar for agents seeking you to be their writer! So funny! Margo, I liked the twist. It made me remember a song from childhood about the unicorns missing the ark because they were too busy playing. So that's what happened to them! Loved it!! Sweet mother of pearl I love this. Wow! What a great idea! Love you imagining the unicorns as deceptive and dangerous (the opposite of how I would have imagined them!) Great piece! I'm impressed with anyone who can write on demand like this. I completely draw a blank. Good job! Ha! So that's why there are no unicorns in the world. I wonder if the same thing happened to dragons? Loved this entry a lot! Unicorns! Illusory creatures with bulky teeth and killer tendencies - I like this unsual take on unicorns and I loved how you set up with Shem trying to sneak them on the Ark. I'm your first-cut judge and this story is off to the next rounds! The beautiful picture that goes with this becomes really sad after reading the story. I was so confused at first because I couldn't figure out why the cows were inside, but then it all snapped wonderfully into place. Nice work! Hello Margo. My name is Amy Jarecki and I'm visiting your blog to inform you that your story has been short listed as one of the top two (out of 384 total entries), and you will advance to the semi finals! Hi Margo! Love your unicorn story, so creative. Especially loved the imagery I got from "bulky teeth." Very unique and creative story. I enjoyed it very much. Congratulations for advancing to the semi-funals. 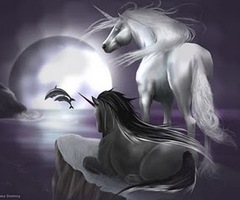 Congratulations for getting into the semi-finals Margo, great story, I love unicorns.